Slewing ring or swing bearing is a rotational rolling-element bearing that typically supports a heavy but slow-turning or slow-oscillating load. Slewing ring support the excavator cabin. 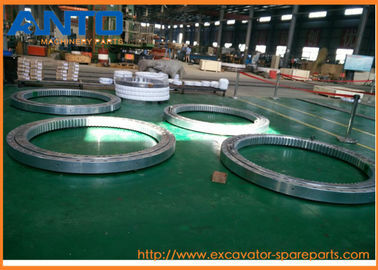 Anto Parts is located in China largest supply chain market for excavator parts and service, including John Deere, Hitachi, Caterpillar, Komatsu, Volvo, Kobelco, Hyundai, Kobelco, Doosan, Daewoo, Kato, Sumitomo, New Holland, JCB, Yanmar... We take pride in the quality of our work - all of our excavator parts are backed with a minimum 90 days guarantee. At Anto Parts excellence is our priority. 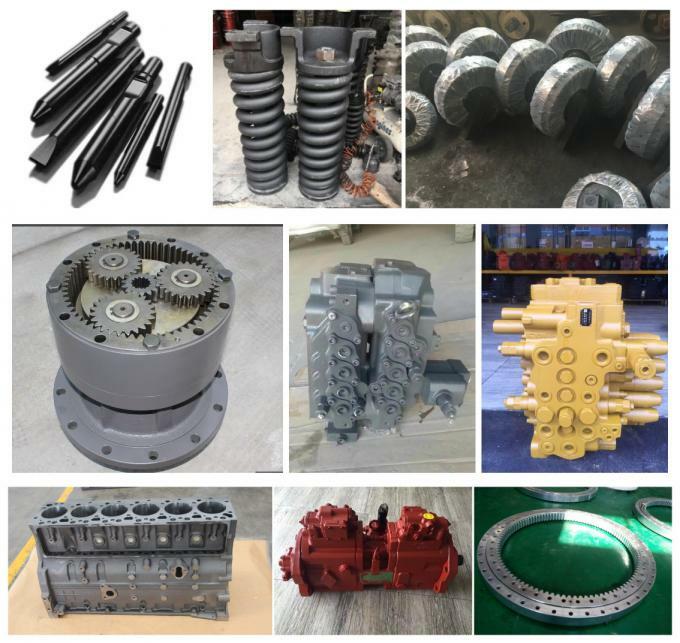 We provide our customers with specially selected quality aftermarket/OEM, original genuine or used/rebuilt, dismantled excavator parts at competitive prices. Our commitment is to quality and rapid turnaround times so you can get back to work fast! On our website we also provide customers with access to our live parts inventory and ordering capabilities. After all, a machine can break down at any hour of any day! As the largest excavator parts market in the world, our parts inventory includes a large stock of Final Drives, Main Hydraulic Pumps, Hydraulic main control valve, Engine spare parts, Propel Motors, Track Adjusters, Swing Motors, Swing Gear boxes, Cabs, Booms, Arms, Buckets, Bucket Links, Boom Cylinders, Arm Cylinders, Bucket Cylinders, Thumbs, and Undercarriage track link, track roller, carrier roller, sprocket, front idler, filter, air conditioner parts, CPU Controller, Monitor, and more. All of our components are backed by a minimum 90 day guarantee. Save time and money! Contact us to find out more about our extensive range of excavator products and services today.